South Sudanandnbsp;is poised to become the latest "fragile state" to sign aandnbsp;new dealandnbsp;compact withandnbsp;aidandnbsp;donors, setting out benchmarks for peace and statebuilding. Western aid officials say they have been impressed by the level of consultations from the South Sudanese government since the broad agreement on a compact in April. Consultations have taken place in all 10 states, from which 10 benchmarks for the government have emerged and five for donors. "It has been quite focused. In other fragile states, there is a long list of priorities meaning nothing is a priority, so bringing it down to 10 is quite a positive achievement," said Stephan Messing, lead adviser on fragile states for the Organisation for Economic Co-operation and Development in Paris. Endorsed at an aid effectiveness conference in Busan, South Korea, in 2011, the new deal is an initiative put forward by theandnbsp;g7+ groupandnbsp;of 19 conflict-affected countries, including Timor-Leste, Somalia and Afghanistan. At its heart is the notion that developing countries should be in the driving seat on development strategy, with the focus on five state-building goals: legitimate and inclusive politics; security; justice; economic foundations (jobs); and revenues and services (managing revenue and delivering accountable and fair services). The thinking behind the new deal is that unless aid focuses on peace and security in fragile states, money will go to waste. Somalia is fleshing out its new deal and installing the institutions needed to deliver it. Last month, a Somalia Development and Reconstruction Facility (SDRF) was established to bring together Somali officials and international organisations to co-ordinate and implement financing of its new deal compact. An SDRF joint-steering committee will decide where and how aid money will be spent afterandnbsp;pledges of €1.8bnin Brussels in September. 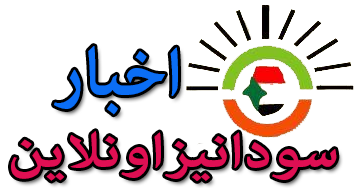 Southandnbsp;Sudanandnbsp;is expected to sign its compact in early December. The priorities that have emerged from the consultations include national reconciliation, infrastructure and roads, access to justice and protection of civilians and human rights. For donors, better aid flows and results reporting, increased use of government systems and more predictable aid commitments are among the priorities. South Sudan, which gained its independence two years ago after years of conflict with Sudan, experiences extreme poverty, weak and corrupt institutions, internal conflict, large numbers of internally displaced people, recurrent natural disasters and simmering tension with Sudan over the oil-rich border region ofandnbsp;Abyei, which brought the two countries to the edge of war. Recently, South Sudan has been hit by floods, which have affected more than 150,000 people. 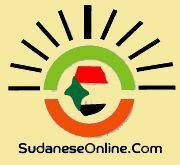 Unity, Upper Nile and Jonglei states were reportedly worst hit. Apart from natural disasters, South Sudan has been plagued by inter-ethnic conflict in Jonglei. Dinka Bor, Lou Nuer and Murle ethnic groups have been carrying out violent cattle-rustling attacks for years. Conflict between the groups has been exacerbated by a rebellion from ethnic Murle rebels from the South Sudan Democratic Movement/Army (SSDM/A). During the long civil war preceding South Sudan's independence, Khartoum armed southern ethnic militias to fight against southern rebels. A Murle militia was one of several absorbed into the South Sudan People's Liberation Army (SPLA). However, South Sudan accuses Sudan of supplying weapons to rebel groups in Jonglei, including the SSDM/A. Human Rights Watch has said that since December 2012, the SPLA has committed serious violations of international humanitarian and human rights law, notably the unlawful killing of at least 96 people, mostly civilians, from the Murle. "The potential for further grave violations and violence is very high, in part because the SPLA – an army still in transition – faces significant command and control and discipline challenges but also because ethnic tensions are so high in Jonglei especially anti-Murle sentiment," a recentandnbsp;Human Rights Watch reportandnbsp;said. Tens of thousands of Murle are displaced, including most of the civilians from all six main population centres in Pibor county in Jonglei; many are too frightened to return. 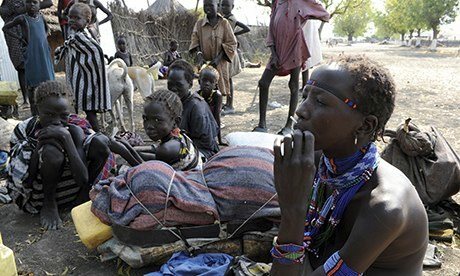 Murle rebels have also been accused of human rights abuses, killing and abducting civilians, and destroying facilities belonging to providers of emergency healthcare and food aid. The high level of tension in Jonglei is just one of the major hurdles for South Sudan's nation-building efforts under the new deal. Somalia faces its own security problems as al-Shabaab, the radical Islamists, shows signs ofandnbsp;regroupingandnbsp;after recent military gains by Amisom, the African Union force. Officials admit that, after forcing al-Shabaab out of the capital, Mogadishu, in 2011, and Kismayo in 2012, the campaign against it has lost momentum and stalled, at a time when Somalia seeks to rebuild after decades of war. "Al-Shabaab is a major concern," said Massing. "Even in Mogadishu, security is very challenging. Second is the political challenge – the relationship between the federal government and the regions. That has to be worked out. The South Sudan consultation was a very good process, whereas the Somali compact endorsed in Brussels was based on more limited consultations with the regions. "The federal government now has to reach out and build support for the compact. As for the donors, they have to live up to the principles of the new deal. It's not easy but it is necessary. It is not an answer for donors to work through parallel systems, as that can undermine the national government."